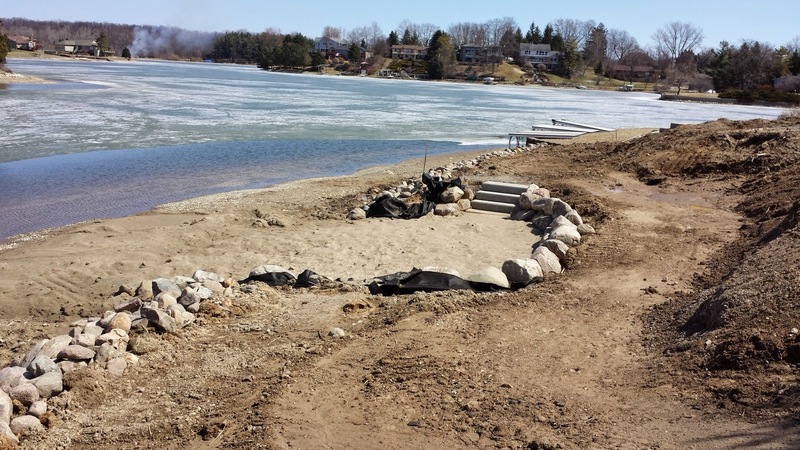 A most interesting project started this past Spring 2014 on a half acre property on a lake near Fenton, Michigan. The soil there, which largely consists of clay, unsurprisingly did not perk well. Thus, with no where to dispose of sewage, the property is considered unbuildable. My client and his family, whom live across the road from the lake, purchased the property for their own personal prairie beach park. Prior to my involvement, a local landscaper had already installed hardscaping elements at the property, including a sand beach area, placing large boulders at the waters edge and around the beach area, and a couple concrete staircases leading down to the beach and dock. The local landscaper also graded almost the entire property. Unfortunately, the local landscaper did a few things differently than I would have. First, although the large boulders may stabilize the shoreline, the land-water interface is typically where the most biodiversity occurs. Preserving that land-water transition would have provided more ecosystem functionality. Second, by "grading", the landscaper apparently simply removed all the top soil from the property. What remained appeared to be probably parent material with few roots. Third, the area close to the beach has a significant slope. The local landscaper's grading work opened this surface up to erosion and did nothing to mitigate it. Stabilizing the slope was a priority. 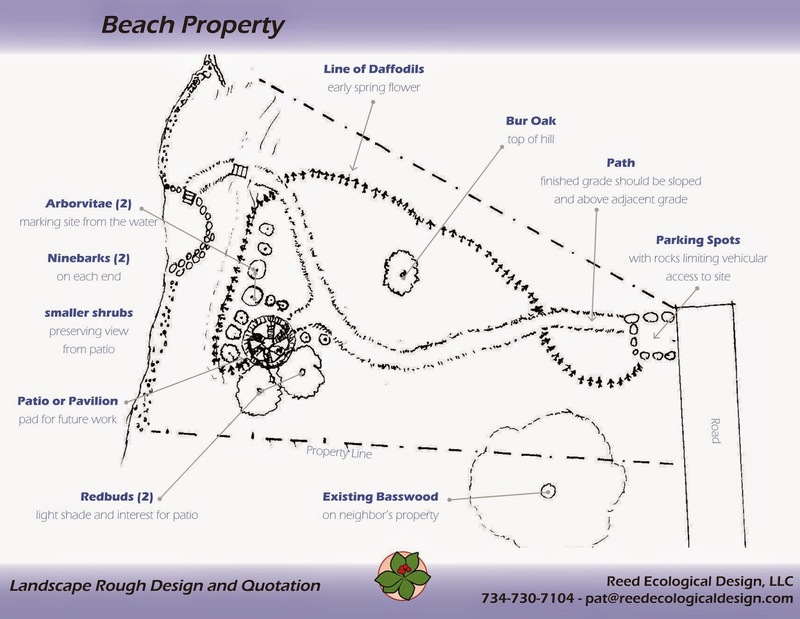 To provide an overview of the property and work to be performed, I drew a landscape plan after performing my initial site visit and consultation. The client provided some feedback affecting a couple changes. 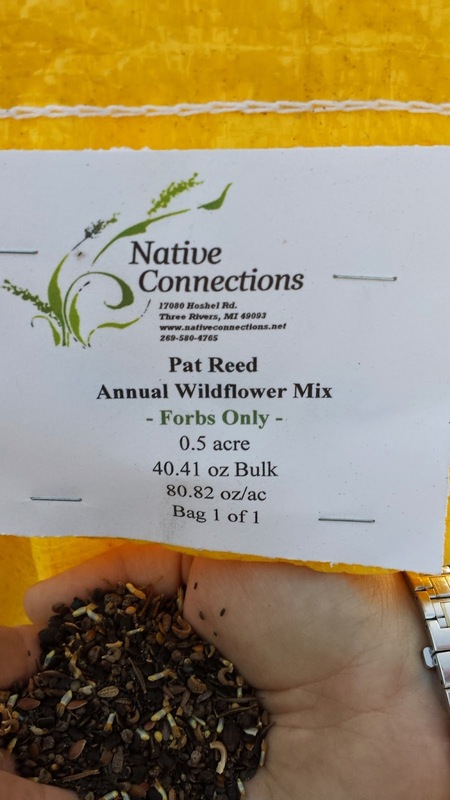 To begin the long process of installing a prairie, I purchased two seed mixes from Native Connections. 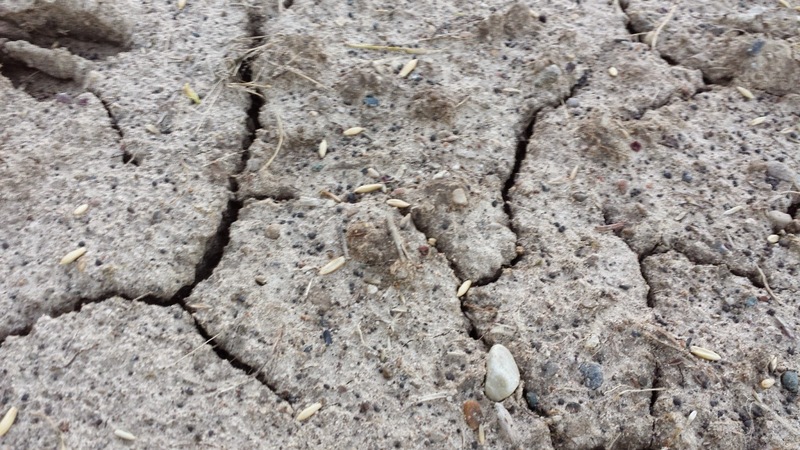 The first seed mix, titled "Dry-Shortgrass-Prairie-Mix". The second seed mix consisted of annual seeds. Native forbs typically take two or three years growth before they start to bloom. So, adding annuals provides some "show" before the real show of native flowers kicks in. I mixed the first seed mix with Milorganite to facilitate spreading with a spreader. The Milorganite should also slightly replace the missing organic material in the soil. To ensure adequate thorough coverage, I also spread the native seed mixture using both the spreader and throwing by hand. For the annual seed mix, I spread by hand near by the path, beach, and patio area for the purposes of providing a close upfront display. I also sparingly spread the annual seed mix in the background. In addition to the seed mixes, I planted plugs of forbs and shrubs, and transplanted two B&B'ed Redbuds and a Burr Oak. I selected the following native species based on site factors and availability from Wildtype. 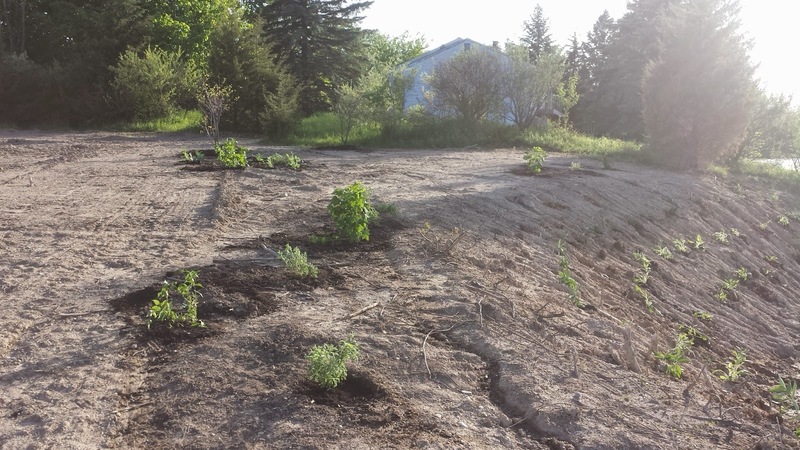 These forbs and shrubs were mostly focused on the sloped area near the beach to mitigate the erosion occurring there. To someday hopefully provide a prominent feature of the property, I planted a Burr Oak, Quercus macrocarpa. I selected this species both because of its adaptability to poor clay soils but also because it seemed to fit into this planted oak savannah. Digging the hole large enough to accommodate this planting in the clay soil was the opposite of easy! In regards to future concerns, several Autumn Olive (Eleagnus umbellata) shrubs are growing on the property. I recently watched a seminar by Douglass Tallamy, whom calls this species Ugly-Agnes. In order to prevent these shrubs from overtaking over the prairie (and they will! ), I recommend performing some invasive shrub removal during a coming late fall/winter. 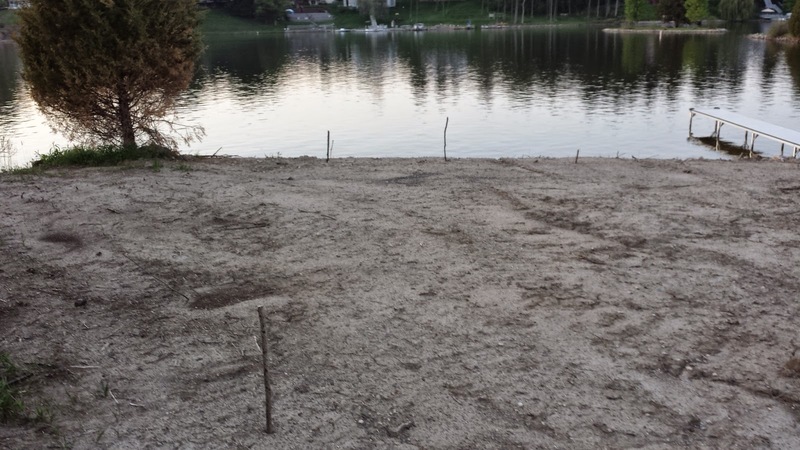 Once fully grown, the prairie beach park will help protect the water quality of the lake. Especially so when compared to many other lakeside properties which have lawn right down to the shore line. Surface runoff from the prairie should be well filtered and refresh the lake, whereas runoff from lawns often carries fertilizer and pesticides. Possibly the most important quality to exhibit when starting a prairie from scratch (and mostly seed) is patience. 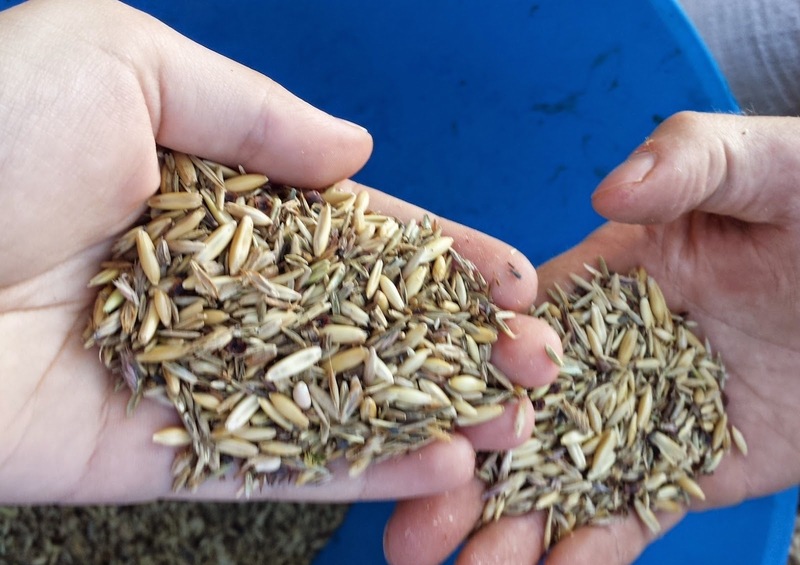 Jerry Stewart of Native Connections emphasized that the seeds are there, but just may take awhile to germinate and flourish. Definitely stay tuned for the past due update. All links to update posts will be added here, once said posts are written! EDIT: Here is the post describing the park in Fall 2014. Here is the post describing the park in August 2015.